Pelin striped throw, peshtemal towel and scarf all in one. Navy blue or grey, with a tactile ribbed texture. 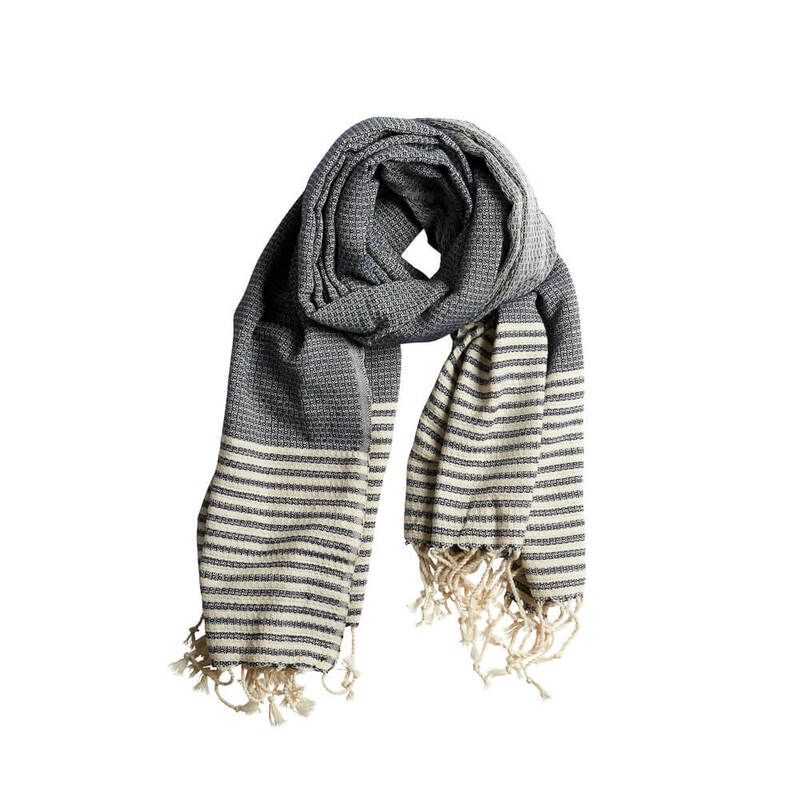 Striped throw, towel or soft and stylish scarf in neutral shades. Hand-woven in 100% natural and eco-friendly Turkish cotton. This makes a beautiful ethical gift for her or him. The tactile basket weave in this striped throw give it a more exfoliating texture when used as a Hammam towel. The navy and grey tones and classy design has proven the Pelin to be a firm favourite among the men in our lives. The versatile design lends it to being a towel, scarf or throw. The lightweight and compact Pelin peshtemal dries quickly, making it a great lifestyle accessory. Perfect for a weekend trip, or draped over your bathtub or sofa. To see more striped throws, towels and more, click here to see the full Lüks Linen range on Chalk & Moss.